Who doesn’t love piping hot dinner rolls straight from the oven with a dollop of creamy, melting butter? 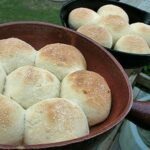 You’ve probably seen, and maybe even tried my favorite dinner roll recipe, the easy pull apart dinner rolls. I’ve made them dozens of times and have even par-baked and frozen them for a quick roll for those last minute dinners. 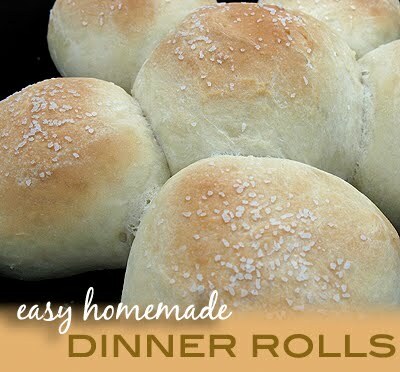 The pull apart dinners rolls are truly fabulous, very soft and easy to make. However, the added time to break the dough down into smaller pieces to create that pull apart affect does add some time to the prep. This is a perfect solution, cutting the prep time by rolling the dough into one large dinner roll instead of 3 pieces that combine. I baked mine in my cast iron skillet and a cool, homemade stoneware bowl I picked up at a thrift store. You could make these just as easily in a 13×9 baking pan or your favorite casserole or lasagna dish. The recipe is the same, just the method is slightly adapted. You can par-bake these too, and I’ll tell you how in the recipe below. Preheat oven to 400 degrees F. Punch down dough in center and fold over a few times. Prep two cast iron skillets or stoneware bakers, or a 13×9 baking dish with non-stick cooking spray. Separate dough into 12 pieces and roll into balls, pinching the dough together with your fingers at the bottom. 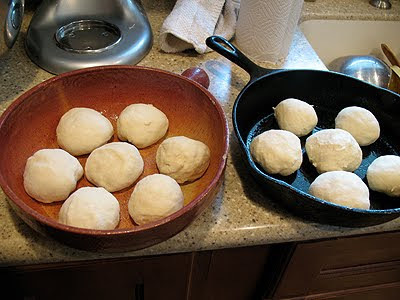 Place rolls into baking dish, leaving about 1/2″ space between each. Brush with melted butter; sprinkle with coarse salt. Bake until crust is light golden brown, about 15-20 minutes. Immediately remove from pan. Store loosely covered. Par-baking means that you are partially baking your bread and then freezing it to finish off later. Par-baking kills the yeast and creates the structure for the starches and proteins. This means it’s essentially baked on the inside, but it hasn’t developed that lovely golden crust on the outside yet. Par-baking allows you to bake bread or rolls to about 80% and then transport or save it to finish baking later. When par-baking your rolls, you want them to have developed structure, meaning that your dough should feel firm to the touch, but they should not have browned yet. To par-bake these rolls, skip the step of brushing them with butter and adding the salt. That should be done once you remove them from the freezer. Bake them in a preheated 400 F oven, only shorten the baking time to about 9 minutes or so. Of course, you may need to adjust your time as oven temps and climate conditions vary. Just keep an eye on them and remove them from the oven before they brown. Allow them to cool a bit in the pan, about 20 minutes, then remove to a plate or sheet pan that will fit in the freezer. Place in the freezer, none of the rolls touching each other, and allow them to get hard, about 2 hours. Remove from the freezer and pop them into a zipper freezer bag, put back in the freezer until you are ready to bake them. You can par-bake your rolls in the morning to have later that night. 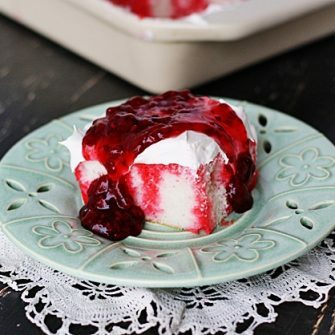 This can be ideal for someone who wants to make rolls for a family gathering or party, but wants to skip the hassle of prepping and baking at someone else’s house. Simply par-bake as instructed above, however instead of placing rolls in the freezer, just place them in the refrigerator until you are ready to leave. Transport in a covered container, then bake as described below, but you may need to cut the baking time a little because they are not frozen. Remove desired number of rolls from freezer bag, do not thaw. Spray a baking pan with cooking spray, then brush each roll with melted butter and sprinkle with course salt. Bake in preheated 400 F oven for 12 minutes, or until browned. These are the lazy version of my pull-apart dinner rolls, and just as delicious! Preheat oven to 400 degrees F. Punch down dough in center and fold over a few times. Prep two cast iron skillets or stoneware bakers, or a 13x9 baking dish with non-stick cooking spray. Separate dough into 12 pieces and roll into balls, pinching the dough together with your fingers at the bottom. Place rolls into baking dish, leaving about 1/2" space between each. Brush with melted butter; sprinkle with coarse salt. Par-baking means that you are partially baking your bread and then freezing it to finish off later. Par-baking kills the yeast and creates the structure for the starches and proteins. This means it's essentially baked on the inside, but it hasn't developed that lovely golden crust on the outside yet. Par-baking allows you to bake bread or rolls to about 80% and then transport or save it to finish baking later. You can par-bake your rolls in the morning to have later that night. This can be ideal for someone who wants to make rolls for a family gathering or party, but wants to skip the hassle of prepping and baking at someone else's house. Simply par-bake as instructed above, however instead of placing rolls in the freezer, just place them in the refrigerator until you are ready to leave. Transport in a covered container, then bake as described below, but you may need to cut the baking time a little because they are not frozen. Just tried these 6 years after this post. These are amazing! My husband absolutely loves good dinner rolls. I’ve been on a search for years for the perfect recipe. This is it! Looking forward to this Thanksgiving so they can be added asa new tradition. Thanks SO much!! That’s awesome Maureen! I hope you liked them! I tried making these, was so looking forward to them with my chili. Sady they did not rise and ended up thick and chewy. I had to throw them out. What happened? So sorry that happened :( I am going to guess that either your yeast was expired OR if the temperature of your liquid was too high (should be between 105 and 115) then the high temperature can actually kill the yeast. If it’s too cold, the yeast won’t grow either. That’s the most common issue with bread not rising. There are other factors that could have contributed, but without knowing more about your specific situation I can only guess. Did you make any substitutions in the recipe? Did you proof the yeast to make sure it was still active? These rolls are SO delicious! I made them the other night right before dinner and I was really impressed! Very simple recipe! Thanks so much for sharing! 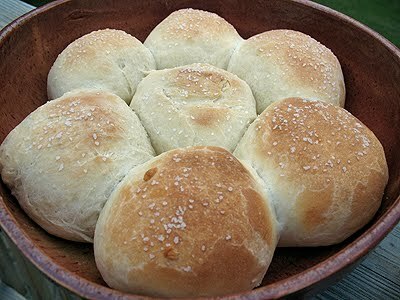 Made these rolls for Thanksgiving this morning after searching for an easy recipe last night. Just sampled one and they are amazing! Thanks for such an easy recipe! 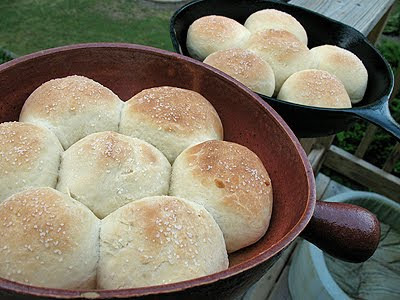 I think these will become my go to dinner roll recipe. Happy Thanksgiving! So glad you liked them! We love these rolls. I made some garlic parmesan rolls using this dough too. They are on the blog. :) Happy Thanksgiving! So glad you enjoyed them Denise! Thanks all! So glad you are enjoying them as much as we do Andrea! I have made these twice in the last week, thanks for a great recipe!! Love your stoneware pan too, how cool. I want to reach through my computer screen for one roll. They look sooooooo good! I want one! You're right. Just out of the oven and the aroma is hard to resist. They look delicious. I have a hard time trying to stay away from dinner rolls. I think I could make a whole dinner just having them! I collect dinner rolls recipes like dryers collect lint. Adding another one to my list! Thank you for all the additional instructions regarding par-baking, freezing, etc. Good info! YUMM-O…I cant wait to give these a try. I first baked these a month ago. Dead easy. Love the par baking approach to maximize freshness. What a great staple bun. I love adding stuff to them as well so its not always plain. They look good. Nothing like fresh rolls/bread to go along with a meal. These rolls look perfectly fluffy and delicious! It never fails to amaze me how wonderful a warm fresh roll from the oven can be. These looks heavenly. Niiice. These look yummy. I'm always bake to cook with yeast.